In a significant move towards affordable healthcare, the government has slashed the prices of coronary stents by 80 per cent. The ceiling price of bare metal stents has been fixed at Rs. 7,260 and that of drug eluting stents (DES), including metallic DES and bioresorbable vascular scaffold (BVS)/ biodegradable stents at Rs. 29,600. The much-awaited notification issued by the National Pharmaceuticals Pricing Authority (NPPA) comes two months after coronary stents were incorporated under Schedule I of the Drug Prices Control Order, 2013 (DPCO, 2013), via notification dated December 21, 2016. The move is expected to bring huge relief to heart patients burdened with enormous hospital bills. The NPPA stated that the cap on stent prices was fixed after series of deliberations carried out with stakeholders to bring respite to patients suffering because of its irrational pricing. The notification points out that ‘huge unethical markups are charged at each stage in the supply chain of coronary stents resulting in irrational, restrictive and exorbitant prices in a failed market system driven by information asymmetry between the patient and doctors pushing patients to financial misery’. The data submitted by companies to the NPPA revealed that the stent could cost the patients over 10 times by the time it reached from the manufacturers to the patient. As per the data, huge profits were incurred by marking up prices even up to 650% in certain cases. It has been made clear that the cap would be brought into immediate effect and would also be applicable to all stocks of coronary stents available for sale in the trade channel. All manufacturers of coronary stents have been directed to revise their prices accordingly. All health care facilities have also been notified to comply with the orders. While the cap is exclusive of taxes, it has been stated that the manufacturers may add local taxes/VAT and no other charges in the calculation of MRP, if they have actually paid such taxes or if it is payable to the government on the ceiling price specified in column. Ensuring that the customers are kept informed and not duped in any manner, the notification stated that every retailer and dealer shall conspicuously display price list and the supplementary price list, as furnished by the manufacturer or importer, within the premises where the usual business is carried on, so as to be easily accessible to consumers. The medical facilities utilising stents are also directed to ‘specifically and separately mention the cost of the coronary stent along with its brand name, name of the manufacturer/importer/batch no. and other details, if any, in their billing to the patients or their representatives’. As a penalty, defaulters would be liable to pay the overcharged amount along with interest thereon under provisions of the Drugs (Prices Control) Order, 2013, read with the Essential Commodities Act, 1955. 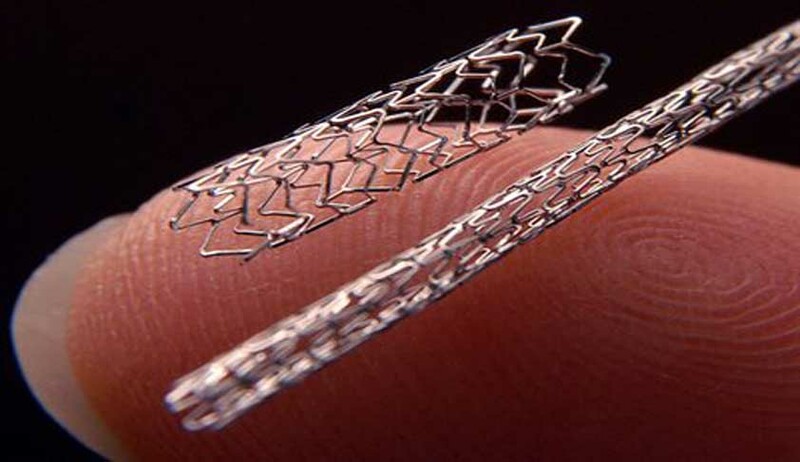 Any manufacturer intending to discontinue production or import of stents has to notify the NPPA at least six months in advance and follow the ceiling prices till clearance from the government. As precursor to current price fixing, the government had initiated efforts last year itself as coronary stents were incorporated in the National List of Essential Medicines, 2015 (NLEM, 2015), by a notification dated July 19, 2016. The same year, the Department of Pharmaceuticals notified stents in Schedule-I of the Drug Prices Control Order, 2013.